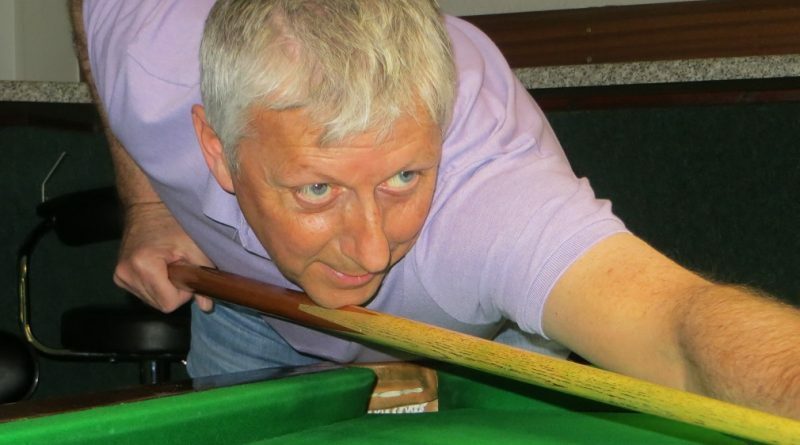 STEVE Ashton (pictured) was brought “crashing back to reality” by Richard Arnold in the second round of Cuestars South Wilts Snooker League matches. Ashton had kicked off the new season at Salisbury Snooker Club with a 5-0 victory over 14-year-old debutant Eddie Mason. But Arnold prevailed 3-2 when the 55-year-old friends went head-to-head. Arnold raced to a 2-0 lead, albeit fluking a deciding black along the way. Arnold took the winner’s bonus point with a long blue followed by the pink and black. Meanwhile, Liam Tinne is the new front-runner thanks to a 5-0 success over Herman Desmier (Wimborne). The 27-year-old former Cuestars junior said: “I was potting very well in the first few frames. “I didn’t miss much, just kept losing the white and having to recover with some long shots. “Herman played some really good stuff and his safety play was very good. Jake Stewart was tipped to win the league by last-season’s runner-up Anthony Rice (Fordingbridge). Rice re-tipped Stewart’s cue – and was then beaten 4-1 by it. He said: “When I arrived his tip was just coming off. “I put a new one on for him and assumed that he just wouldn’t be able to settle. How wrong I was. Stewart, who contributed a 50 break, is one point adrift of Tinne. Antony Foxcroft, who subjected Mason (Porton) to his second 5-0 whitewash, said: “I’m happy with my second win and a good start to the season. And David Rice (Fordingbridge) edged Stuart Dreyer 3-2. Results: Antony Foxcroft 5-0 Eddie Mason, Lee Stagg 2-3 Callum McDonald, Lee Stagg 5-0 Graham Wallace, Anthony Rice 1-4 Jake Stewart, Stuart Dreyer 2-3 David Rice, Paul Burt 4-1 Callum McDonald, Steve Ashton 2-3 Richard Arnold, Liam Tinne 5-0 Herman Desmier.